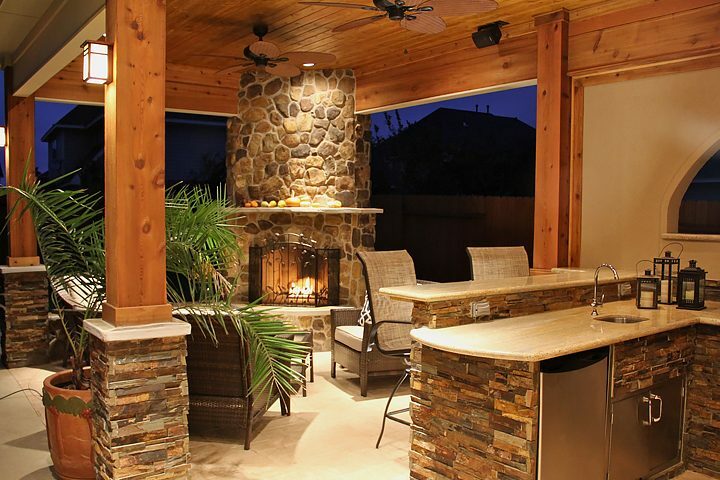 Discover Outdoor Heating Ideas to Warm Your Patio When this Winter! 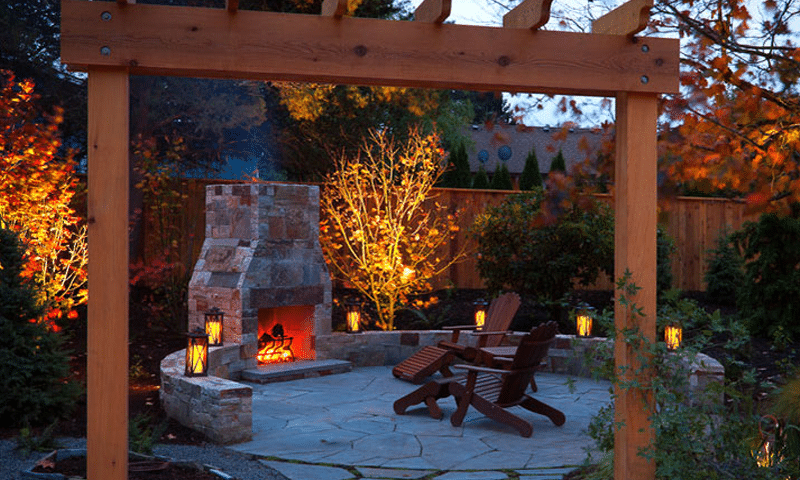 The BEST Methods for Heating Outdoor Spaces from Outdoor Heaters, Fireplaces. Here are several ideas for heating outdoor spaces both functional and decorative that will keep your patio, backyards, & the outdoors warm for entertaining and family living this Winter season! 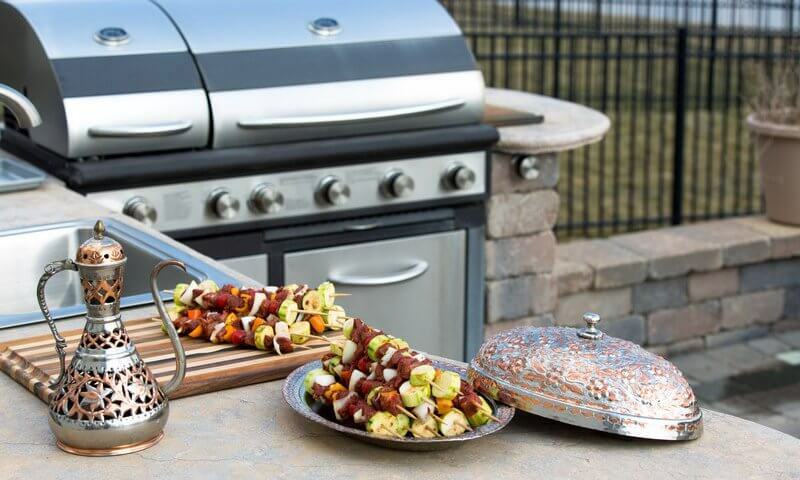 What’s best, an outdoor kitchen grill that is built-in or one or one that is freestanding? Gas or charcoal? Smoker or rotisserie? Start planning now and as the season eases along grills will go on sale and you’ll be ready to snap up your perfect option. With outdoor kitchens becoming so popular in North Texas, it’s important to consider outdoor kitchen lighting to enhance the perfect cooking space and also create a proper dining ambiance. It doesn’t really matter if you have a small Weber grill or a total kitchen, proper lighting is a must! 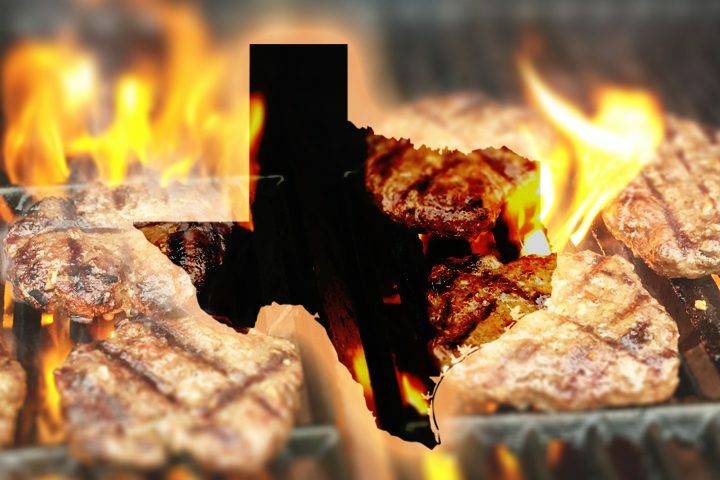 Texans know that you don’t let the grill set idle over the winter. And now that outdoor kitchens have become so popular in North Texas there’s no excuse not to whip up great meals for family and guests. You can enjoy being outside, thrill in the convenience of your outdoor kitchen and share fabulous food. Try these Texas Outdoor Kitchen Menu recipes to impress everyone’s taste buds. Remember when cooking outdoors meant a Weber kettle grill and a few burgers? Times have changed, my friend. 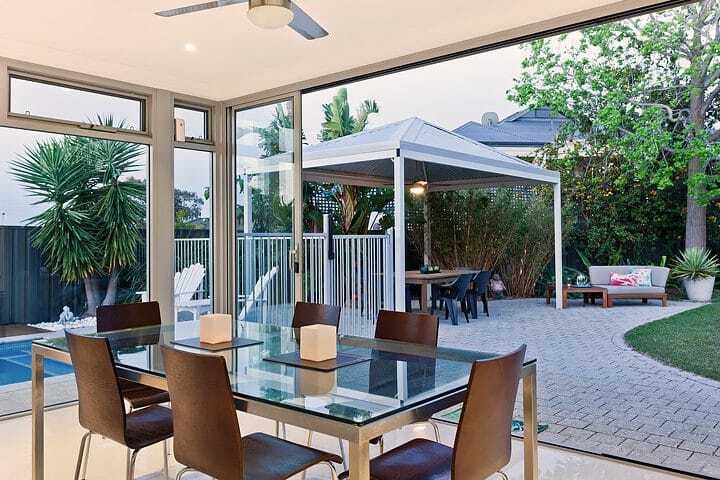 Outdoor entertaining has become an important part of the American lifestyle and accordingly a well-equipped outdoor kitchen is highly desired.